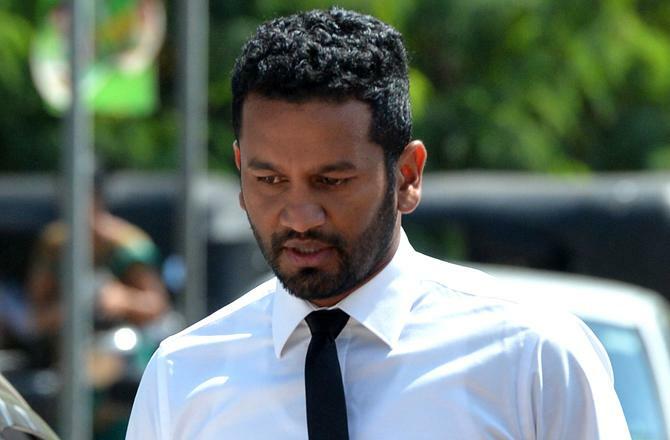 Fine of 13 lakhs for Dimuth ... from Sri Lanka Cricket! Sri Lanka Cricket has decided to impose a fine amounting to 7500 American dollars, which incidentally is equivalent to a fine imposed for one Test (over 13 lakhs in Sri Lankan rupees) in connection with the offence he has committed while driving under the influence of liquor last 31st dawn, it is reported. inquiry will be held against Dimuth Karunaratna to take necessary action by following procedures laid down in 'player's contract agreement'. Whatever it is, the three-wheel driver who drove the vehicle sustained minor injuries, the three-wheel vehicle has been subjected to serious damage. But the attorney at law who appeared on behalf of Dimuth has told in court that latter has agreed to give him a new three-vehicle.